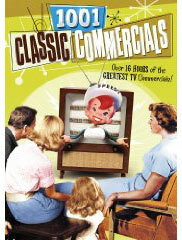 TV DVDs are the hottest selling segment of the home video market. 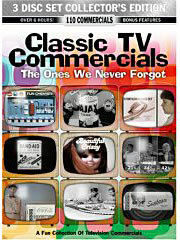 we will review the latest TV on DVD releases for you. 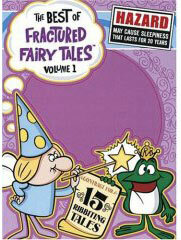 See our full catalog of TV Show DVDs here! 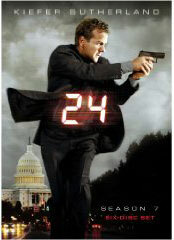 Jack is back and better than ever - 24 season 7 is a heart-pounding thrill ride that had me on the edge of my seat more than once. Every year Jack finds himself more and more isolated, this go around there's no CTU and no Jack - he's been relocated in secret and given a new identity. When his cover is blown and his former colleagues are murdered he's forced to return to Washington and save the country two or three more times. 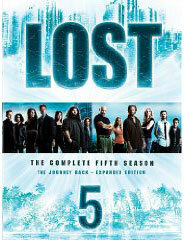 The penultimate season of Lost is out on DVD; one of my all time favorite shows is coming to an end and it's high time to start getting some answers about the questions and conundrums the series has so blithely pitched to us. Consistently one of the most intriguing dramas ever, Lost is the rare television series that can actually keep you on the edge of your seat with mind-blowing storylines and a locale that transports you to a verdant paradise. I suppose it's natural that some of the bloom would come off this desert rose as the writers start revealing what it all means. 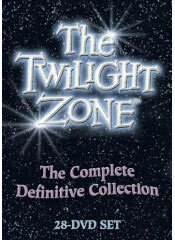 After all, they've thrown up so many trippy anomalies - polar bears on a tropical island, a killer smog monster, an island that travels through time - that whatever explanations are offered up are bound to be a disappointment. One of network television's funniest and game changing comedies, 30 Rock, begins to lose a little of it's luster and fall into a predictable pattern with season 3. 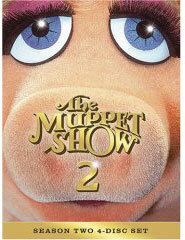 Year three delivers plenty of laughs, that's for sure, but it's hit and miss. 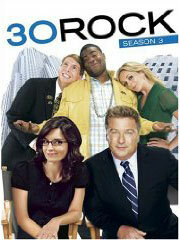 An excellent episode of 30 Rock is a delicate mix, too much of any character seems to upset the formula. That's unfortunate because standard operating procedure for maturing sitcoms is to develop storylines around the supporting characters. Kyra Sedgwick kills in the role of her lifetime - her character, Deputy Chief Brenda Leigh Johnson, takes passive aggressive behavior and hubris to new levels. For the fourth season look for a very funny guest turn from Amy Sedaris. 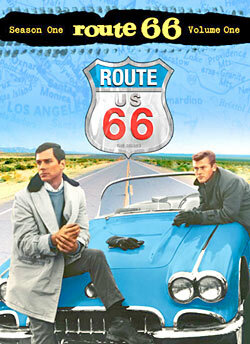 This DVD collection is a real winner, one of the best written TV dramas of 2009. The Tudors is a visually stunning representation of a tumultuous past, you'll find yourself thoroughly immersed in the richness of the scenery, the depth and breadth of the storyline, and the breathtaking narcissism that is brought to life so vividly. This is the story of King Henry VIII, before he became the corpulent ruler we tend to think of, and the creation of the Church of England amid the machinations of that medieval homewrecker Anne Boleyn. 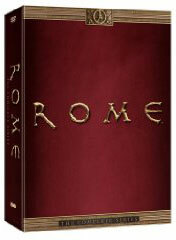 5: Rome: The Complete SeriesRome, undoubtedly one of the finest historical dramas the television medium has ever created, has been released in a gorgeous, fully appointed package, a handsome book style box with the 11 discs encased in pictorial cardboard page sleeves with a foldout booklet that helps you keep track of who's who. It's a release richly appointed with numerous film features that detail both the making of the production as well as giving the viewer some historical perspective. Every aspect of this production was tip top, maybe they fudged the history a little for dramatic reasons, but this was a fascinating storyline from start to finish, a deliriously devastating adventure of epic proportions. Intrigue drips from every frame, with art direction so rich you can almost smell the bathhouse sweat and misting magic potions that permeate the smokey atmosphere. 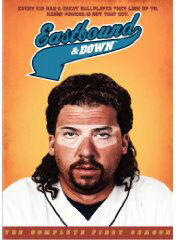 After months of hearing how unbelievably funny Eastbound and Down is the DVD collection of the first season hits the stores and now I'm singing the praises of this riotous HBO redneck romp. Our protagonist here, former big league pitcher Kenny Powers, is a hopelessly self-absorbed Southern fried jerkoff who finds himself back in his North Carolina hometown teaching middle school gym class. 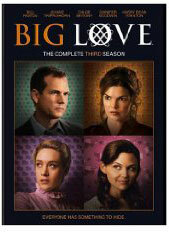 Oh, do I love Big Love. 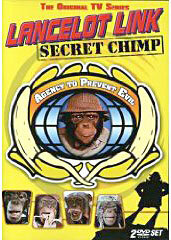 This is the twistiest, trippiest, wittiest drama ever. I was talking about this show to a friend the other day and she turned her nose and said, "Is that the show about the polygamist Mormons?" 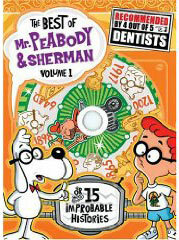 You might not think such a seed would yield such a bumper crop of intrigue and devastation but you'd be wrong. 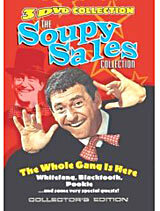 The long awaited DVD release of the fifth season of The Mary Tyler Moore Show is now available. If there's an award for austere packaging this one would walk away with the prize - no liner notes or even a list of episodes - nothing. Even the DVD navigation is awkward. 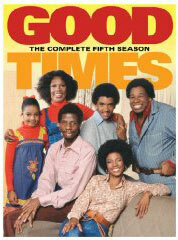 But aside from that there's nothing to complain about - not when you've got a collection of some of the funniest sitcoms in TV history, every one a jewel. 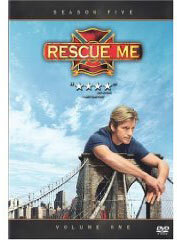 There is no funnier drama on television today than Rescue Me - it's got tremendous re-watchability. What Tommy Gavin goes through this season will have you howling with laughter and dumbstruck at the machinations the ladies in his life put him through. Fighting fires is the least of this guy's problems! 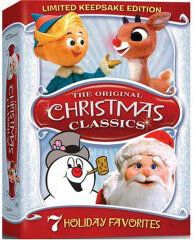 I look forward to having every season of this show on DVD. 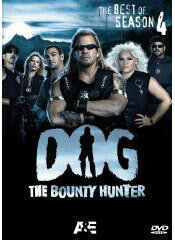 I didn't just watch this thrilling series, I devoured it, watching all 6 episodes at a sitting. It's that good. These compelling documentaries (contained on two discs) are powerfully riveting, a fascinating glimpse into the underworld of gangs and drug thugs that will have you bug eyed and thanking the gods that you didn't live in the vicinity of these modern day street warriors. 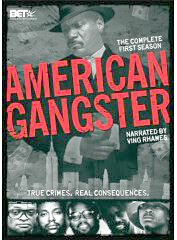 You'll find the sweeping stories of legendary African-American gangstas, thieves and drug slingers like Stanley "Tookie" Williams, the Chamber Brothers, Lorenzo "Fat Cat" Nichols, Dino & Troy Smith and Leroy "Nicky" Barnes among others, told through interviews with the surviving perps, family members and associates. Many of these interviews take place in prison - for obvious reasons.